From the bridgehead sector Sainte Mere Eglise and Utah Beach, the Americans crossed the Merderet at speed, taking Picauville on June 10. The advance slowed with the checking of the 90th Infantry Division before the storming of Pont l'Abbé on the 12th and Saint-Sauveur le Vicomte on the 16th. Unfortunately, due to sales rights restrictions, we cannot offer La Bataille du Cotentin for sale in your country. From the bridgehead sector Sainte Mere Eglise and Utah Beach, the Americans crossed the Merderet at speed, taking Picauville on June 10. The advance slowed with the checking of the 90th Infantry Division before the storming of Pont l'Abbé on the 12th and Saint-Sauveur le Vicomte on the 16th. Two days later, they cut through the Cotentin up to Barneville and headed back northward towards Cherbourg. 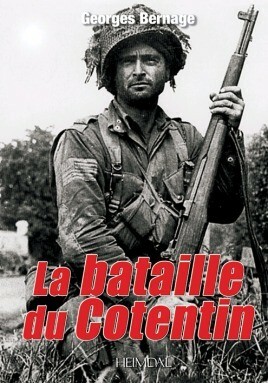 The book breaks new ground with many period photographs in the series "Normandy 1944".